I had been travelling in India for almost 2 years, most of which had been spent on a Zen meditation centre in Tamil Nadu, S India. Eventually though funds started running low and in Jan 2004 I was forced to head back to the UK to seek gainful employment. A friend I had made at the meditation centre asked me what I planned to do for work when I got back home and I had to admit I didn't really have a firm plan, or even much of a loose one. It transpired that he ran his late fathers local family business, which specialised in buying and selling high end scarves, stoles and shawls, made from only the finest natural yarns. He offered to let me fill my backpack with some of his best lines and so I ended up taking several hundred pounds worth of goods, on consignment, back to York, yes he was a trusting soul. In Feb 2004, amongst the snow and ice, I started trading on York Market. I would take a wheeled suitcase full of scarves and a backpack full of lights, table covers and accessories, walk to the nearest bus stop, and for a total outlay of £1.20 head to York market and rent a stall. It was a very steep learning curve becoming a market trader. Some days were good and some days were bad, but hey, that's life. Through thick and thin though the friendship and sense of community amongst the market traders really helped. After a few months trading I managed to get ahead and started re-ordering from my friend. It was hard work but all was well and, more importantly, I was enjoying the challenge, and putting one foot in front of the other. After some months my girlfriend, a lovely Indian lady called Sheela, who I had also met at the meditation centre, came over to the UK to visit for the first time. Slowly things progressed and over the next couple of years we expanded our range to include some more mainstream lines for the budget conscious from several suppliers in Delhi and Mumbai. Eventually though these people ended up cheating us, at not inconsiderable expense I might add, and this forced us to look around for new suppliers. In retrospect this was the big turning point which set York Scarves in motion. At this time York Scarves did not exist, we were still only retailing but we were doing well and selling good volumes at markets, festivals and fairs. After many late nights in front of the computer I stumbled across a supplier whose naivety and innocence fascinated me. They were obviously not experienced in export or dealing with Westerners but there was something about them which struck a chord with me and slowly as we talked more I started to warm to them. I ended up sending them some pieces to copy and eventually they sent me some samples. I was astonished as the pieces they had made were far superior to the originals I had supplied. These guys were a co-operative movement in a semi rural area of N India who were prepared to make to order. The co-operative was initiated in 1977 and is structured on a cottage industry basis with most of the community involved in one process or another. Some houses have weaving looms, some specialise in dying, some in tasselling, some in stitching. That was in 2006 and York Scarves was born in 2007. 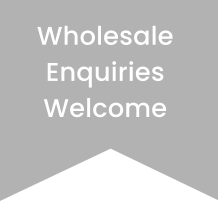 With access to such great quality at such good prices the choice to enter the wholesale market was not hard. Now over 10 years later we are their exclusive UK agents, have a wonderful relationship with the co-op, and have the pleasure of visiting them each year. Together we have continued to go from strength to strength as we nurture and teach each other. We have some new developments in the pipeline, as always, and are looking forward to continued growth. If you click on the gallery link you'll see pictures of us with our weavers and workers. Now York Scarves is in it's 11th year and despite the state of the economy things continue to prosper, so we must be doing something right. In a nutshell this is how we started our fair trade scarf business.